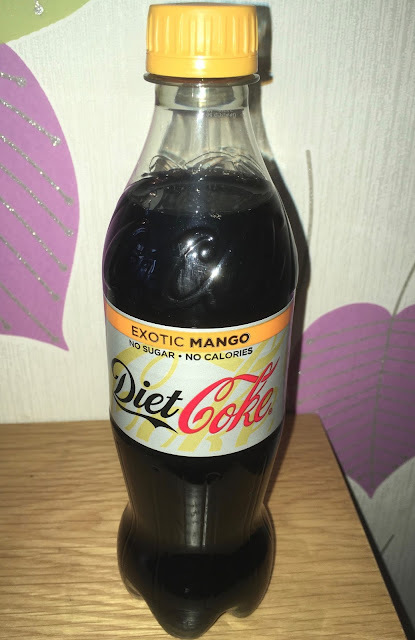 I was quite surprised to see the new flavour available of Diet Coke out for Spring is Exotic Mango, I spotted the bottle as it had a pale orange band on the bottle announcing the new flavour. I love mango as a fruit or as a flavour but often find it is an overlooked fruit; lemon, lime and even orange always seems to take preference when it comes to limited edition varieties. Mango is a little more daring and I’m pleased that they have chosen to release it. I found this bottle in the chilled cabinet at Tesco and bought a spare to take home, I haven’t since seen this variety in other shops but I’m sure it will appear in other places soon enough. I opened up my bottle of Exotic Mango Diet Coke and could immediately smell the fruity goodness of mango mixing in the aroma as the bubbles fizzed. The flavour worked well too, mango is a juicy fruit, and that rich sweet honey like flavour blended perfectly with the Coca-Cola. 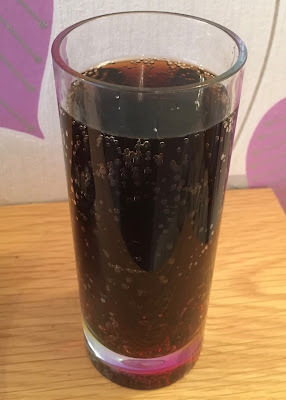 I loved the added element, it was refreshing and sweet and complimented the Coke perfectly. The drink is still more cola than mango, but the balance works well and I’m hoping it sticks around for a while. I know it has been released during a very wintery period, but this really could be the drink of summer with its Exotic Mango mixed in.